Nearly ten years ago, Eric Ryback, legendary thru-hiker, author of The High Adventure of Eric Ryback, and former PCTA board member, conceived the idea of awarding trail users who completed the trail with a medal. Eric wanted to find a way to give back to the PCT community that meant so much to him. Eric launched the medal program in 2010 and fully funded all of your medals since then. Free to members, and only requiring a small handling fee from non-members, the elegant and substantial 9-ounce solid brass medal is a fitting acknowledgment of a tremendous accomplishment. Our entire community of alumni can’t thank Eric enough for his generosity. While today marks a shift in the program, rest assured, you can still get a medal when you finish the trail. Over the years, countless fortunate thru-hikers, section hikers and horseback riders from all over the world received the 3-inch diameter medal on a blue and white PCTA ribbon. Each finisher’s name, trail name and the year they completed the trail is engraved on the back. Eric also paid for the medals that went to trail users who completed their thru-hike before the program’s inception. 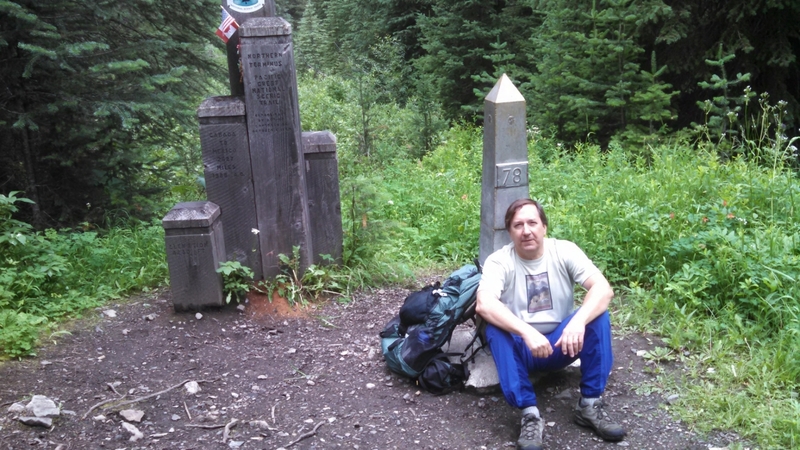 Eric Ryback on a return hike to the PCT’s northern terminus. Eric, whose own thru-hike was completed in 1970, was right in thinking that finishers would want a medal worthy of being cherished and passed down through generations. Over the years, the numerous testimonials and messages of thanks received for Eric—and the prominent displays of medals on personal web pages, social media and blogs—bears testament to how much the program was appreciated. But rapid growth in the popularity of the trail and the number of medal requests led Eric to question the sustainability of the program. There’s no denying the surge in thru-hiking and long-distance hiking in recent years. Eight years ago, 205 people recorded finishing the trail. In 2016 that number spiked to 703. Thank you, Eric, for supporting this program for so many years. Would you like a medal? First, hike or ride the entire trail. 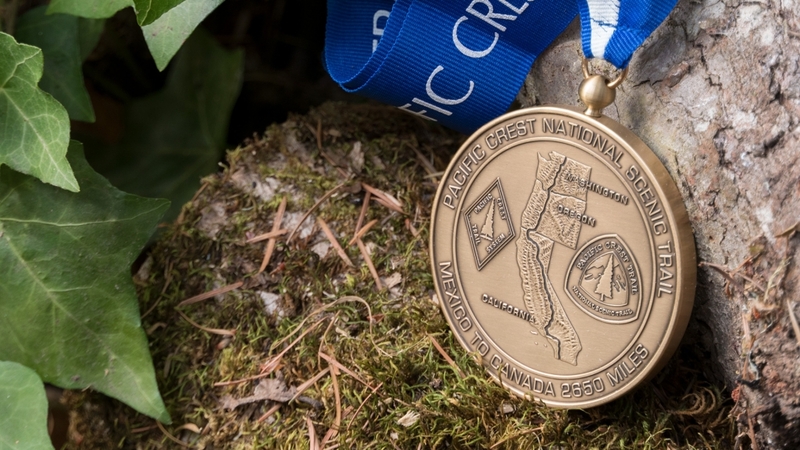 When you have completed the Pacific Crest Trail, we’d be thrilled to send you a medal. Visit our new PCT alumni page to find out how to request a medal or a certificate.